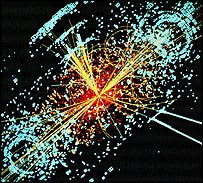 “We now have a very, very good chance that we will see hints of the Higgs before the LHC will. It’s a race. Whoever is first is first,” says Dmitri Denisov, Fermilab. "If they do find the Higgs, good luck to them. But I think it’s unlikely they will find it before the LHC comes online,” responds Lyn Evans, CERN.